Summer 2018: June Update – Hands-On Chinese Fun! We do two learning sessions a day. It shows more on the schedule depicted below but in reality we do about 30-45 mins in the morning and 30 mins in the afternoon. I guess some people might consider this intense but considering he used to have 3-hour work cycles at his Montessori preschool, he is actually doing a lot less “academic” time now. Incorporating 2-4 hours of physical activity into our day is a MUST for my sanity. He is much much calmer and happier when he gets his physical/social needs met and as an added benefit, he has been sleeping for 12 hours every night which he hasn’t done since he was a baby! I am not sure how many characters he knows but he is gaining several every day so he is not too far from 1000 characters. His speed of learning has definitely increased lately. It only takes a few repetitions to learn new words through reading books with me, without using any flash cards. Sometimes he blows my mind by knowing things that I never taught him, like when he read “小心翼翼” the other day I couldn’t even believe it. He somehow memorized it when I read it to him before. Anyway, I state this not as a brag, but to encourage all the parents out there that there is light at the end of the tunnel. Many parents expressed frustration that their kids are struggling to learn basic characters. This is perfectly normal because learning is always slow and difficult at the beginning. Don’t give up and your child will soon learn at an accelerated rate! The main success for English is Little Man is reading a lot more lately, ever since I instituted the “silent reading three times a day” rule. He has been mostly reading Usborne illustrated stories, Amulet graphic novels, and just started the 13-story treehouse series. Ok, so not exactly quality literature. I got a bunch of audiobooks from the library and hope to introduce him to more good books that way. We are halfway through our Vocabulary Workshop workbook. I like it but find it inconvenient because we need the computer to listen to the audio. Math is going very well. I guess I did not give his Montessori enough credit because he knows more math than I thought he did. We stopped doing math at home for about a year to focus on Chinese and my assumption was he already forgot all the math that I taught him when he was 4.5. Thankfully this was not the case. We are doing well with minimizing electronics. He plays 30 mins of mindless video games every day but aside from that not much screen time. He really enjoyed watching the kids version of 西游记 on the Little Fox Chinese channel on YouTube and there are some other good kids shows that I may gradually introduce to him in the future. You can also follow me on Facebook and Instragram. 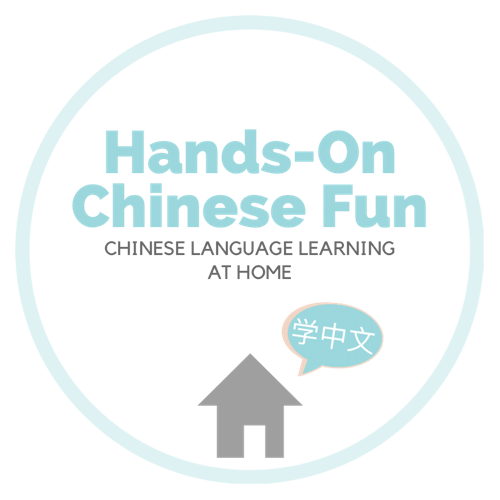 Pingback: End of Summer Update and Goals for 2018-2019 – Hands-On Chinese Fun!